An amused DF reader sent in this photo of an ad from Dell for their new XPS 12, “a powerful laptop and tablet in one”. It’s a PC ad whose entire premise is that the MacBook Air and iPad are popular and well-designed. The device in question doesn’t actually look much at all like a MacBook Air or an iPad. It looks like a broken chair. 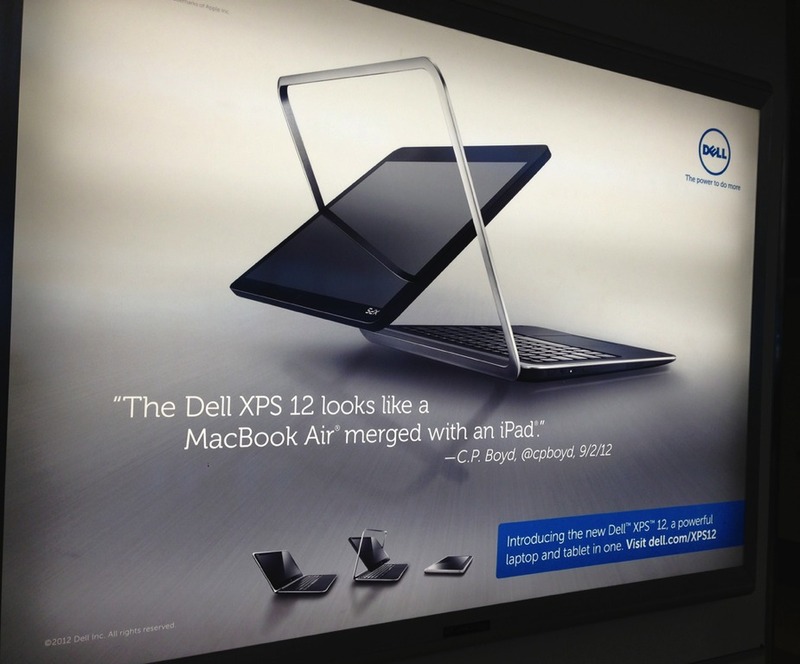 It’s unclear why Dell omitted the hashtag.